Among the many gifts our country has received from Mexico is the luminaria, which some of us put outside our homes on Christmas Eve. This gift originated back when Mexico was called New Spain and still included Texas. Since that year, I have put candles out every Christmas Eve in rain or snow, fair weather or foul. Sometimes the candles are in paper bags weighted with kitty litter. Sometimes they are in glass vases collected from florists. This year my husband and I are cutting back a bit on the festivities at our house as we’re going to John’s church Christmas Eve and then to Vermont so that most of the family can ski (my husband, our kids, their spouses, our grandkids). I myself have three very fat library books that I hope to read in front of a nice fire. Back to luminaria. I just looked it up on Wikipedia. Here is the entry, edited. A luminaria is a small paper lantern (commonly a candle set in some sand inside a paper bag) which is of significance in the U.S. state of New Mexico at Christmas time, especially on Christmas Eve. Traditional Christmas Eve luminarias are said to originate from Spaniard merchants impressed with Chinese paper lanterns. The paper bags are typically arranged in rows to create large and elaborate displays. The hope among Roman Catholics is that the lights will guide the spirit of the Christ child to one’s home. Whatever holidays you celebrate, I hope you take delight in the oldest customs you know. Christmas Eve luminaria (sometimes called farolito) are on display in Albuquerque, New Mexico. Mariachi singer in Chicago, 2006. Oh, the Internet! Last night, my husband was able to track down a ton of information on a 19th Century Norwegian church in the town where we have lived for 35 years that no one ever mentioned to us. For all the scary things the Internet is responsible for, who could do without it today? There are so many great links we share with one another. How else would I have learned, for example, that Mariachi bands were extremely popular in the former Yugoslavia. Mexican Mariachi? Crazy. Jonny Wrate at the website Roads and Kingdoms has a report. “Marina de Ita had dreamed of travelling Europe for years. Her band, Polka Madre, was heavily influenced by Balkan and Roma folk music and, back in the late nineties in Mexico City, she’d fallen in love with the music of Goran Bregović. “In 2015, her band was invited to play at the International Circus Festival in Mardin, Turkey, and de Ita seized the chance for a quick trip to the region she’d long wished to visit. “Yet when she played ‘Bésame Mucho,’ a seventy-year-old Mexican bolero, a small crowd gathered around her. Some sang along. ‘An old man became very emotional and even shed a few tears,’ de Ita says. More at Roads and Kingdoms. I do love this kind of unexpected cultural cross-fertilization. Who knew? Today there are increasing numbers of opportunities for people with disabilities to enjoy the benefits of activities that others take for granted. Eva Clifford writes at Women & Girls Hub about one intriguing example: ballet for the blind. “In a third-floor dance studio, Lorena Nieva begins teaching her ballet class. 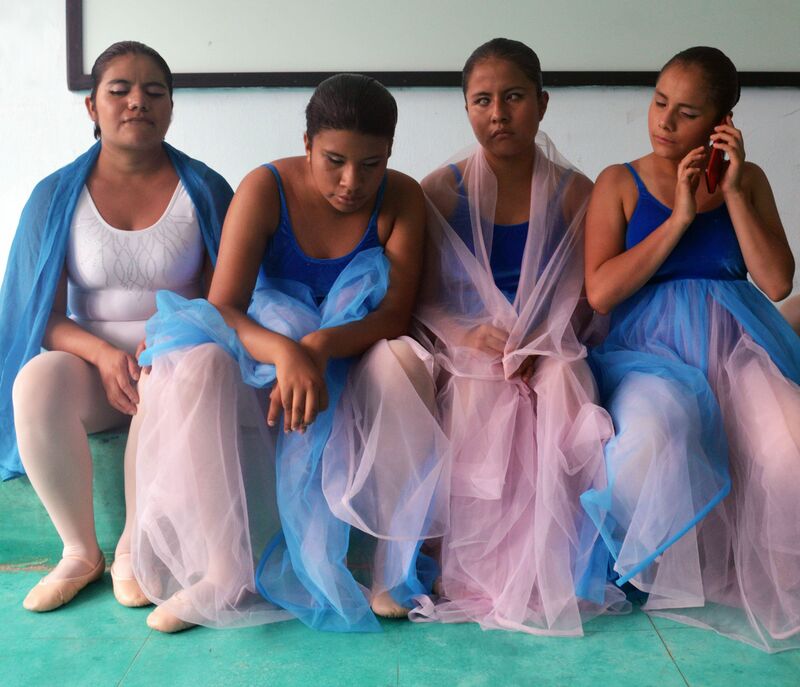 Every weekend Nieva, the international coordinator of Psicoballet, travels 80 miles (130km) from her home in Puebla to give lessons to a group of girls from Casa Rosa de la Torre, a home for blind children run by nuns. Aged between nine and 22, all of the girls in Nieva’s class are completely blind or partially sighted. “As the music plays, Nieva guides the girls, steering their movements with the sound of her voice and a gentle push with her hand. While the first half of the lesson is spent rehearsing a dance routine, the second half is devoted to improvisation. Breaking from the rigidity and strictness of conventional ballet training, Nieva brings in objects to inspire movement and games, such as fabric sheets, elastic ribbons and chairs. “For many of the girls, that’s exactly what Nieva’s teaching does. ‘It has helped me a lot,’ says Itary, 15. ‘I feel I have improved my way of coexisting. Before, I was very aggressive, I walked a little weirdly and crashed up against everything, and this is not the way to be. Everything has to be done in a smooth way. To dance is to express with my movements what is within me.’ ” More here. I found the article at the Huffington Post, which had reposted it. Four girls who suffer from blindness wait to be called out for their first dance in Chiapas southern Mexico. An unassuming Indian American scientist, a former commuter-rail acquaintance of mine, led the teams behind the dengue-fever vaccine approved in December for use in Mexico. “The approval of Dengvaxia comes as Brazil is battling two other serious mosquito-borne diseases for which there are no vaccines. In addition to dengue, Brazil also has seen a rise in the number of cases of chikungunya, [but] the most worrisome epidemic is the spread of the Zika virus.” The Wall Street Journal article is behind the firewall, so read more at the NY Times, here. For all the negative press about drug companies, they do have teams quietly laboring for years on vitally necessary vaccines and cures. An Aedes aegypti, the mosquito that spreads dengue fever. A recent newsletter highlighted an initiative by successful Mexicans living in New York who have decided to offer practical support to poor immigrants from their homeland. Tyler J. Kelly writes, “The view from Carlos Valverde’s 38th-floor office tells a story by itself – New York stretching below, the mighty skyscrapers of the World Trade Center rising all around. “Mr. 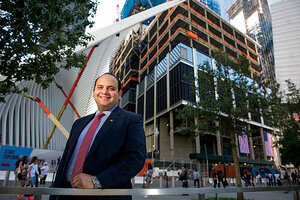 Valverde is the construction manager of the World Trade Center’s Tower Three, responsible for 2 million square feet of real estate, and the vista from his office is, in many ways, the realized vision of many immigrants’ dreams. “In Mexican culture – both in Mexico and here in New York – there’s little tradition of people bridging these two worlds. But that is changing. Valverde is part of a slowly growing effort to bring the resources of New York’s Mexican-American 1 percent to bear on the problems of the 99 percent. “The benefits for the immigrant community here are plain. Edgar Morales, for one, has gone from being a construction worker to getting a college education paid for by a Mexican philanthropist. He’s now a computer science major with dreams of interning at Google or Microsoft. “But it has also changed Valverde, who volunteers at Mixteca in Sunset Park, and others like him. In Mexico, the wealthy travel with bodyguards and live in houses surrounded by electrified wire; in the US, some are reaching and gaining a new perspective. Carlos Valverde (standing outside 3 World Trade Center in New York) helps new, less affluent Mexican immigrants go to school and find work.